Being a medication aide is a big step in your career in health care. Every medication aide must already have their license to practice as a Certified Nursing Assistant or at least their certificate as a Personal Care Assistant or Home Health Aide. You will work predominantly in an Assisted Living Facility or Hospital under the direct supervision of a Registered Nurse or LPN. During medication aide classes VA you will learn about legal and ethical practices for the medication aide, medication administration as well as extensive documentation. You will now have a whole new set of responsibilities as well. You will be the one in charge of giving your client, resident, or patient their medication and assisting them in taking their medication or giving them their treatment necessary. Medication Aides are now in higher demand is they have direct care experience as well as experience in dispensing and assisting with medication. The average pay from the Bureau of Labor and Statistics shows the average pay for a medication aide is $16.99 with an average annual salary at $35,330. You have now increased your quality of job and pay just by taking a course as quick as 2 weeks. Consider the following, you are making a difference in not only the lives of you patients, but also their friends and families. You have the ability to make a significant impact in their life, as you engage and interact most of your time with the patient. Not only that, you are making people’s lives more comfortable. There is never a dull day as it will never be a mundane experience. 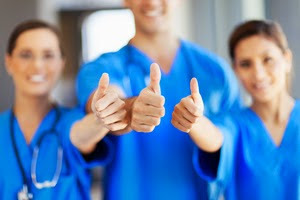 As you continue your career in healthcare as a medication aide you have now put yourself one step close to becoming a registered nurse if you so choose. With this training you have now gone through most necessary pre-requisite courses for any nursing program. This gives you the opportunity to further open the doors for your career and become more of an asset in the healthcare field. This entry was posted in BLS and CPR certification classes, CPR and AED certification, CPR and first aid certification, First aid and CPR certification, Safety first CPR training and tagged CPR and AED certification, CPR and first aid certification, CPR certification classes, First aid and CPR certification, Safety first CPR training. Bookmark the permalink. How to get started with Certified Nursing Assistant training?